With a strong technique, he has been the backbone for the Indian cricket team. Beginning with the reputation of being a defensive batsman who should be confined to Test cricket, he was dropped from ODIs as he was slow in making runs. Of late, however, Rahul Dravid has defied early perceptions to become the mainstay of the Indian batting line-up in ODIs as well as in Tests. His nickname of 'The Wall' in Reebok advertisements has now become a tribute to his consistency. Dravid has scored 23 centuries in Test cricket at an average of 58.75, including 5 double centuries. In one-dayers though he has an average of 40.05, and a strike rate of 70.70. He is one of the few Indians who average more at away matches than at home, averaging over 10 more runs a match abroad than on Indian pitches. 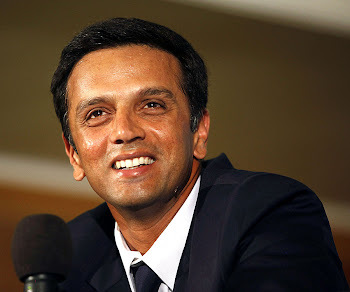 As of 9 August, 2006, Dravid's average in overseas Tests stood at 65.28 as against his overall Test average of 58.75, and his average for away ODI stands at 42.03 as against overall ODI average of 40.05. In matches that India has won, Dravid averages 78.72 in Tests and 53.40 in ODIs.